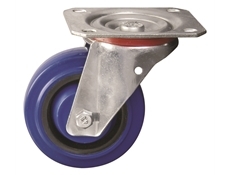 Plate fitting medium duty castors available in swivel, fixed or braked heads. 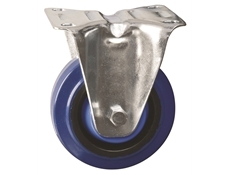 Elastic rubber tyres with nylon centres in diameters of: 80mm, 100mm, 125mm, 160mm. 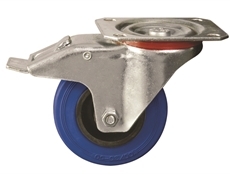 These wheel diameters offer load capacities up to: 150kg, 200kg, 350kg.